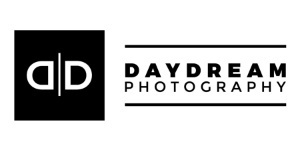 DayDream Photography was founded by our primary photographer, Landon Day, in 2004. We’re not just about taking great pictures, but about capturing special moments that create amazing works of art. Christian, husband, dad, and photographer. Although guilty of not, he tries to keep things in this order. Landon is not just some guy with a camera that takes cute pictures on the weekend. He has a Bachelor's degree in Art from Hardin Simmons University, is a Certified Professional Photographer, and in 2016 he received his Photographic Craftsman Degree. Not only does Landon take pictures professionally every day, but he is also a sought after speaker and trainer, speaking at events in Orlando, Las Vegas, and Los Angeles. In 2015 he was a platform speaker in 5 different states for photography conventions and workshops, training other photographers on how to take amazing pictures. We work out of Studio 124, a historic building built in 1890 with gorgeous exposed brick walls in downtown Mansfield, TX. Feel free to stop by, but give us a call or send a text message to make sure we’re in the studio at 817-983-1203.